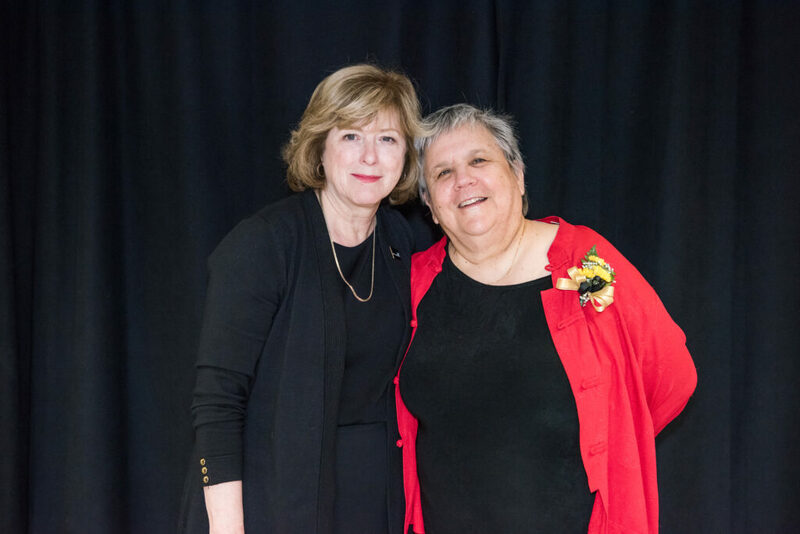 UMBC’s Presidential Faculty and Staff Awards offer a chance to reflect, each year, on the essential contributions of university employees to making UMBC a welcoming, supportive, and successful learning community. 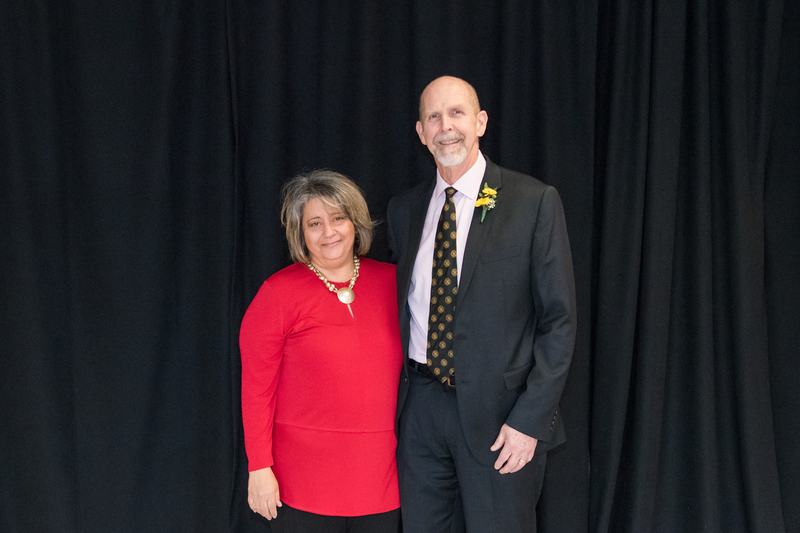 This year’s ceremony, on April 4, was particularly meaningful as it coincided with the 50th anniversary of the assassination of Dr. Martin Luther King, Jr.
Nicole King, associate professor and chair of American studies, received the Presidential Teaching Faculty Award in recognition of her community-engaged pedagogy. 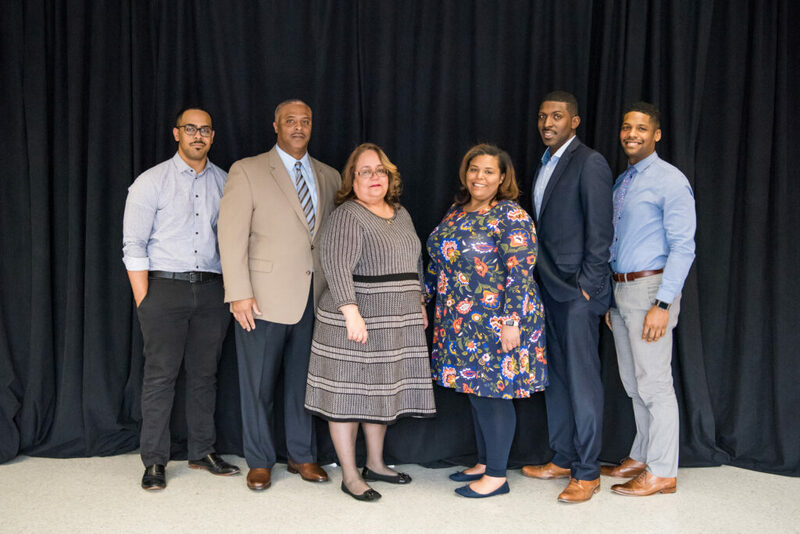 King focuses on helping students develop a deeper understanding of Baltimore and its residents, whether studying gentrification or local environmental concerns. 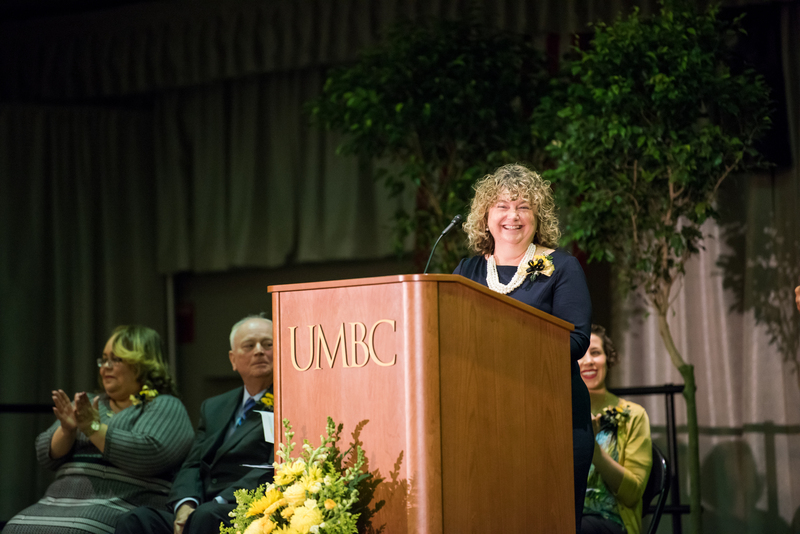 “It is especially wonderful to be honored for my work teaching at UMBC because UMBC has exceptional students,” she said. Amy Froide, associate professor of history, received a USM Board of Regents’ Faculty Award for Excellence in Teaching, saying, “It’s pretty humbling to win a teaching excellence award at this university that is full of faculty who inspire me every day.” Froide shared her journey as a first-generation college student who wanted to become a teacher since childhood. She didn’t imagine a career as a professor until an advisor encouraged her to pursue a Ph.D. Now she wants to pay forward the support she received. Several honorees revisited the long and fulfilling careers they have had at UMBC and the friendships they’ve made. 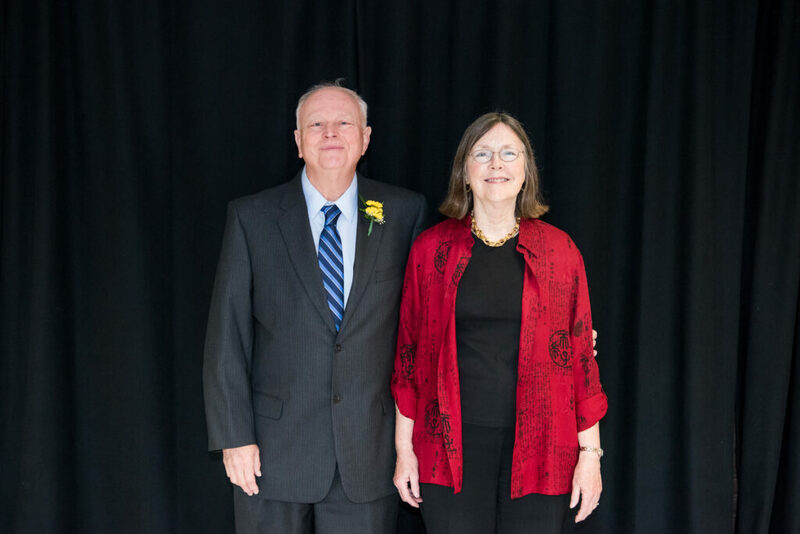 “Like the Academy Awards, I’d like to take a moment to thank those who made this possible,” said Joe Kirby, assistant vice president in the Division of Information Technology (DoIT). 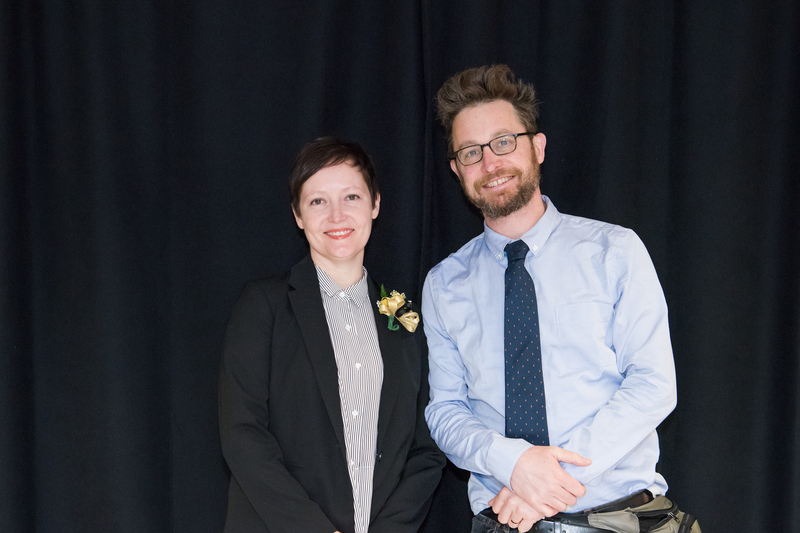 Jess Myers, who received the Jakubik Family Endowment Award, called her position as Women’s Center director “a dream job.” “To wake up every day and go to work to support and advance gender equity, to hold space for LGBTQ folks, to cultivate healing space for survivors of sexual violence, to run a scholarship program for older women returning to college…that is an award in and of itself,” said Myers. President Hrabowski concluded the event with his mid-year State of the University update, highlighting key achievements across the university. 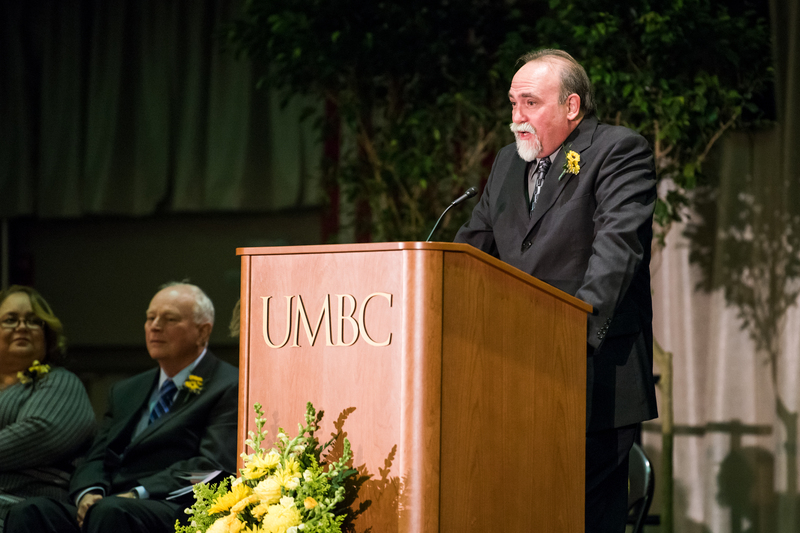 These included everything from major grants, awards, and partnerships to the opening of UMBC’s new Event Center. 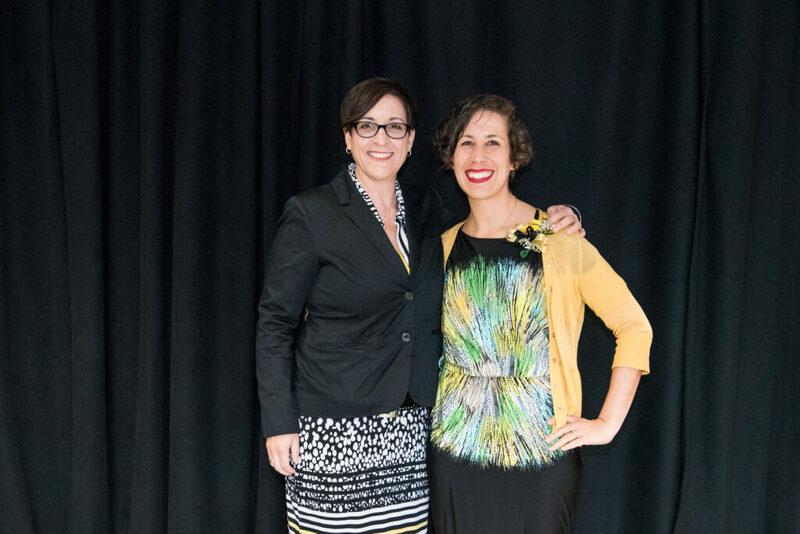 Featured image: Tamara Brown, recipient of UMBC’s Presidential Distinguished Non-Exempt Staff Award. All photos by Marlayna Demond ’11 for UMBC.